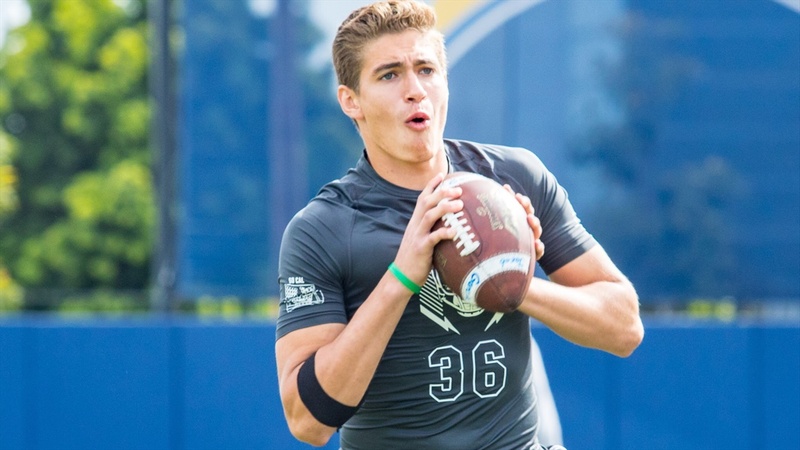 USC has four QBs on scholarship through 2020 and one QB committed for the class of 2020. That means the Trojans could potentially have five QBs in scholarship in 2020, unless there’s a transfer. 2021 Narbonne QB Jake Garcia‍ was hanging out Saturday with 2020 QB commit Bryce Young‍ as they headed to the USC practice field, a sight we could possibly see often in upcoming years should both end up Trojans. Although Garcia would like to commit to a school before his senior season in 2020, he still has several schools he’d like to take unofficial visits to and then official visits as well.